This is a sad post. You might consider taking a pass on this one. I just discovered last night that a blogger I follow, Rhonda Elkins, has passed away. I am deeply, deeply saddened. I had been wondering why she hadn’t posted in so long. Checking in again yesterday, I noticed a large number of comments on her last post. So began the realization that Rhonda was gone. Rhonda’s voice was crystal clear. Enduring a lifelong struggle with depression herself, she shared the most heart-wrenching. personal and lonely times of grief, as well as her deep love for her surviving daughter, Stephanie and her husband, Allyn. I am absolutely stunned to learn that Rhonda too, took her own life. Her voice is missing from the dialogue of how to understand this tragic loss of life. I just can’t believe it. 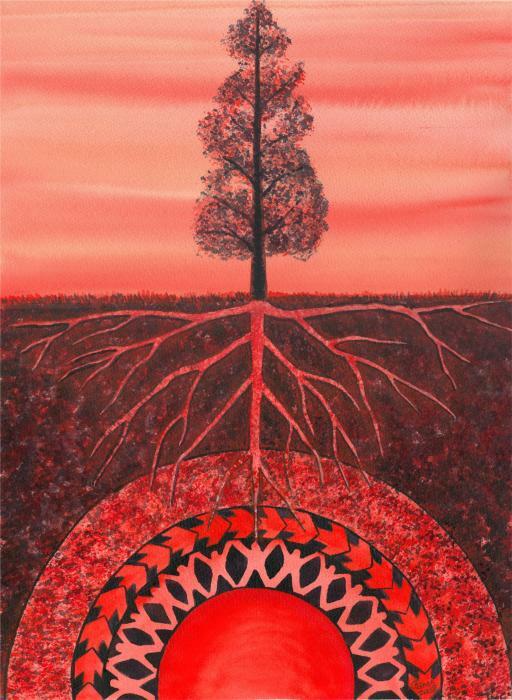 Tonight I was meditating on the first chakra, the root chakra of safety and security. The centering thought, “My life energy protects and secures me,” (chopracentermeditation.com) caused me to dissolve in a puddle of tears. Why didn’t Rhonda’s life energy protect and secure her? Why? The pain and suffering of her beloved family is profound. I am humbled in the face of this tragedy. I can only surmise that Rhonda’s pain and suffering was so great and unrelenting that she was unable to conceive of a life with any hope. Knowing her through her writings, I just can’t reconcile her suicide with her intimate understanding of the devastation her death would cause those she loved more than life itself. I am so sorry Rhonda is gone. I hope she is at last able to rest in peace. Blogging has been on my mind for a while now. And I’ve been thinking about why in the world I would want to do such a thing. There are a couple of very good reasons for me steer clear of this endeavor. First of all, I hate really dislike writing. It’s one of the biggest stumbling blocks for me and continuing my education. I just cannot fathom writing a dissertation. Secondly, I’m a rather private person. Not because I’m up to anything interesting. I think I’m just too wary of others judging me–especially since I’m a public educator. I would, however, like it to matter much less (what others think of me) than it does. On the other hand, author and artist, Austin Kleon, just wrote a book entitled, Show Your Work. I happened to watch a talk he gave this year at SxSW about the importance of putting yourself out there; your work, your ideas. What happens as a result is that you attract like-minded individuals. This really resonated with me. As I explore new territory, I like the idea of connecting to and attracting like-minded people. You can check out Austin’s blog and his talk here. Yesterday morning I randomly tuned into a short meditation about the 5th chakra of expression (visualize light blue). It was about the importance of expressing your true self and letting it be known. It seemed synchronistic that I would be hearing this message within twenty-four hours of starting my blog–a message to me from the universe. I suppose that’s as good a reason as any to blog.